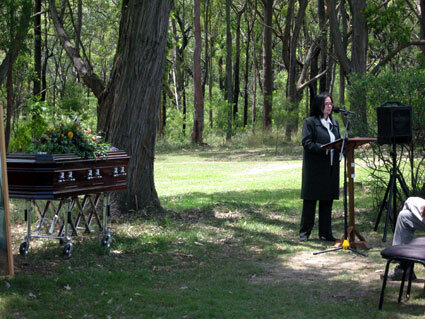 Need Funeral Celebrant Blue Mountains? Arranging a funeral can be quite overwhelming, more so if the death was sudden and no plans were left in place. Even though death is an inevitable part of life, when a loved one dies , we can scarcely comprehend the timing and we feel unprepared. Funeral directors are experienced in helping families with the necessary details that need to be organised. In the initial meeting with the funeral director, certain aspects of the ceremony will be arranged and it will also be determined what style of life celebration will take place. If your family decides to use a celebrant, I would consider it a privilege and an honour to help you during this time to create and deliver a meaningful ceremony. Please call me on 0425 340 666 to discuss your needs. I am extremely open-minded, compassionate and know that everyone has their own belief system. The ceremony for your loved one can have religious elements, poems, verses, music, philosophies or whatever you feel will truly reflect your loved one’s life. Though nothing can take away the grief of the loss of a loved one, a well-crafted tribute can somewhat lessen the pain and provide a valuable source of healing.